Hello, friends! I hope this week finds you well, and that you’re enjoying the Hammer Storm goodness. We've got a light news week, but let’s start by looking ahead. Into the future. Last week, we gave you a look at what’s to come over the next few months. 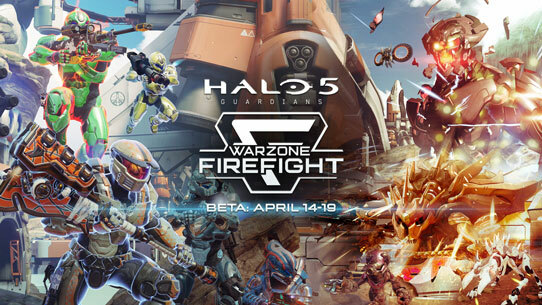 Contained within these above updates – represented here as diagonal slices of delicious artwork and newly revealed titles – are new multiplayer modes, maps, vehicles, weapons, and REQs, as well as game updates and improvements based on your feedback and requests. We truly are just getting started, and we hope this small look into the future of Halo 5 has you excited for the road ahead. 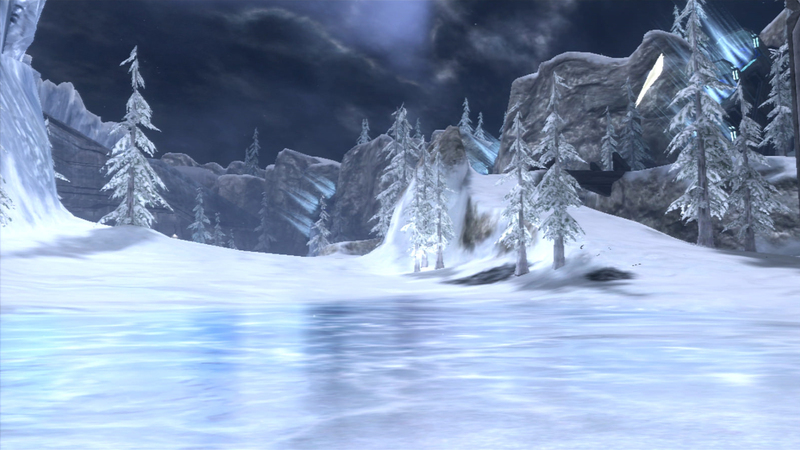 Teams at the studio are hard at work on these releases, the next of which is the Ghosts of Meridian. We’ll be revealing details and what’s inside over the next few weeks, and wanted to also let you know that the production team currently has this content slated to drop in early April. Typically, we’ve released our new content in the middle or end of each month, and this one misses that by just a few days, but the terrifying psychological effect of missing that exact monthly cadence cannot be denied! So to hold you over, we’ll be providing you with the standard sneak peeks, developer commentary, and perhaps even some surprises as we get closer to release. Fiesta is here. Since the mode debuted last week, many of you have been asking about when it may become available in matchmaking, and that day has come. Today, the permanent social playlist shifted into party mode, and Social Fiesta will be available all week long (rather than just the weekend, based on feedback). The game type features random primary and secondary weapons, and is a true roulette wheel of Arena chaos. I hope to see you in the playlist this weekend and throughout the week. Since the Hammer Storm update, teams here have been monitoring your feedback on things like map boundaries and gravity volumes (both fixed in this week’s hotfix), as well as feedback on the new game types and map, Overshield behavior, matchmaking, and more. Additionally, the new (March) season has brought with it an update to ranking distribution for Arena players. Here’s Brian Richards with the details. One of the goals of our Competitive Skill Rank (CSR) system is that it reflects the skill range of the active population. 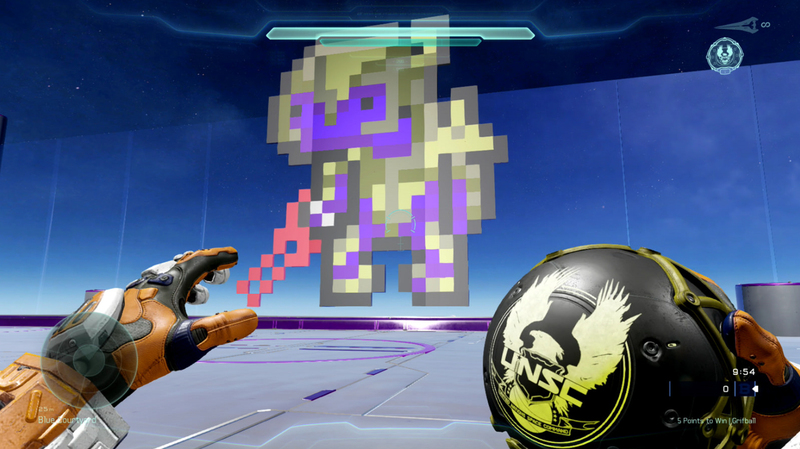 At Halo 5 launch, we tuned the designation system based on an ideal skill distribution. Since launch, you all have been putting in the hours and getting better. Starting with the March season, part of our process for season rollovers was to update the CSR curves in each playlist to reflect the actual skill of the population playing in them. With the new skill curves, you may see a difference after your placement matches in some of the playlists this season. Separately, it is worth noting that we’re actively investigating CSR feedback we’ve gotten from players at top skill levels to determine improvements that can be made to the system. As Brian alluded to, we’ve been grabbing your feedback (and gamertags) from Waypoint, reddit, and Twitter to look at individual matches to identify potential improvements that can be made to the CSR and matchmaking experiences at high Onyx / Champion levels, as well as matchmaking improvements that can be made for players on the high and low end of the skill spectrum. A variety of adjustments are going through their respective test passes now, and we’ll keep you updated with their progress as we get ready to deploy them into the wild. If you didn’t catch it last week, the True Light emblem was brought into Halo 5 with the Hammer Storm update. 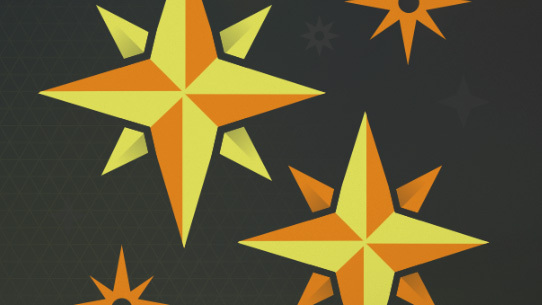 To get the background on the emblem as well as the constellations in Torque’s night sky, head here. Since it debuted, True Light has become one of the most-equipped emblems in Halo 5, with nearly 50% of all players equipping the emblem at some point. You’ve done us proud, Spartans. This week, I sat down with the only NOKYARD. He’s largely a man that builds behind the scenes, and there’s a good chance that he’s built nearly every single Grifball court you’ve played on in matchmaking since Halo 3. Naturally, he’s the mastermind behind Halo 5’s new Grifball court, and the official Grifball guru. We talk past, present and future in the below interview. Bravo: Hello Nok! It’s been a while since we chatted on Waypoint, and I’m excited to have some time with you again. After lots of hard work and testing, both Grifball and your custom map are now live in matchmaking. Tell me – where does this process start? What’s required to not only build an entirely new Grifball court, but also build a court within a brand new Forge engine and Halo title? NOKYARD: To be honest, this was one of the easiest courts I have ever built. Once you master the Forge tools, and get practiced with the new methods, your build can come together almost as fast as you are able to envision it. Luckily, the base movement options in Halo 5 are similar to Halo 4 so we were able to use existing Grifball court standards for the overall dimensions. 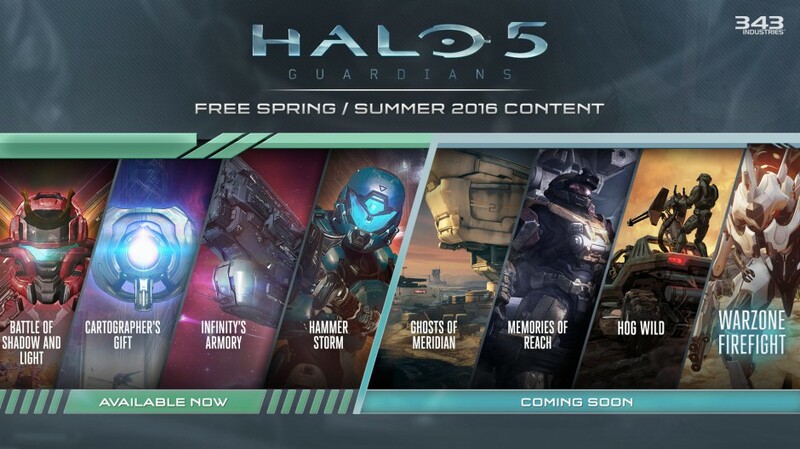 The only difference between the two specs is Halo 5 Grifball adds a Clamber Wall to the sides of the court. 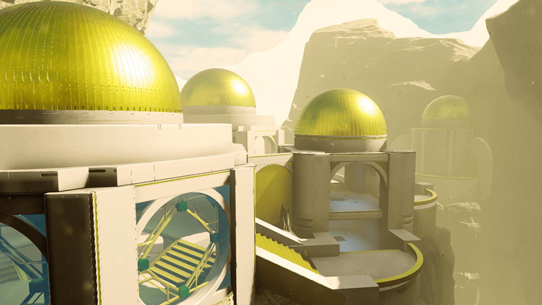 In all previous games which supported Grifball we provided a template with Respawns, Bomb Pickup, and Bomb Plants all labeled and precisely placed to match the current Grifball standards to give builders a solid place to start their builds. Over the years this template has evolved to feature items like Safe/Kill Zones for player containment, and Gravity Volumes to prevent the Bomb from leaving open-top courts. With running starts, and the need to seal the players in once they pass through the wall, the template has become more complex than ever before. Thankfully, with new Forge features like scripting, and a massively improved inventory, we were able to not only create a template which is nearly invisible, but one which allows you to play a full game of Grifball before you even start to build on it. Some of the more impressive courts being constructed today have used this template as a base. It allows Forgers to build their court within the current spec without having to worry about measurement or details like Respawn placement. Having played hockey for most of my life, I love the look and feel of this court. What specifically gave you the desire to build this court into a hockey rink set on Avalanche? Were there any specific challenges in building this sucker? 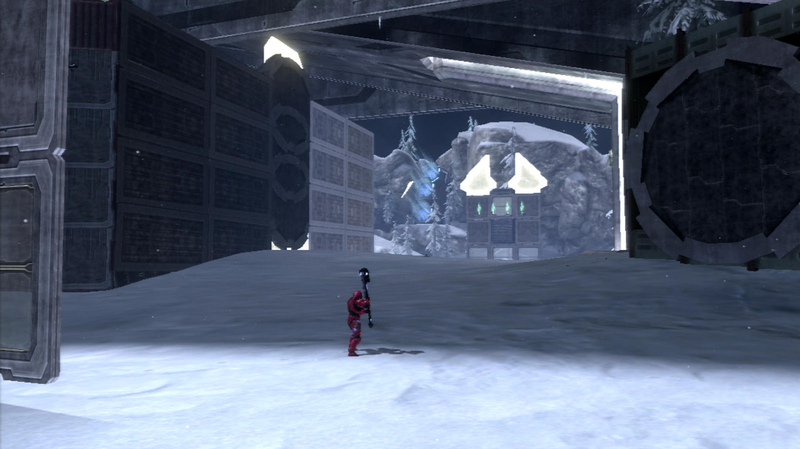 This seemed the perfect setting for a hockey themed Grifball court, but making the court symmetrical due to the uneven terrain would require pushing Forge to its absolute limits. Thankfully Avalanche shipped with an abundance of new Forge items to play with, and I was able to construct Frozen Grifballs with the wonderful Forerunner themed pieces. 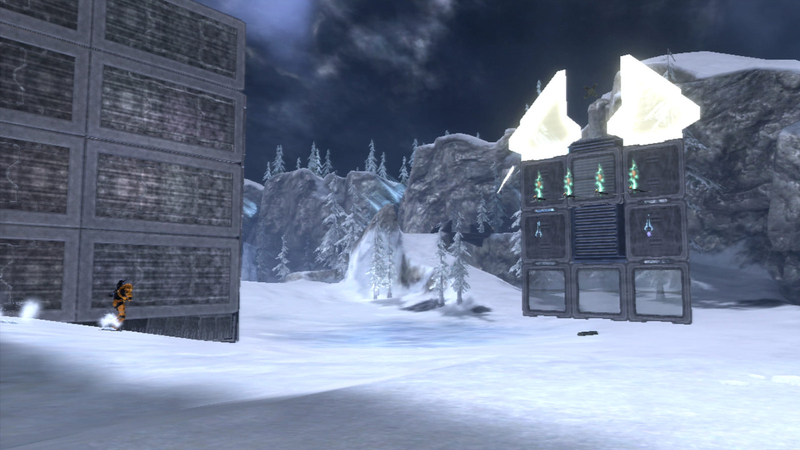 Unfortunately, Halo 3 Forge did not ship with the inventory required to build four walls, so the court relied heavily on honor rules for player containment. This made the court perfect for Customs, but unsuitable for Matchmaking. If only there were some kind of Killing Barrier or large invisible wall pieces to keep players within boundaries. The most difficult part of constructing the Halo 5 court was recreating the Avalanche backdrop, so I brought in my forging partner S117 Oracle, as she specializes in recreating Campaign spaces from previous titles. Without her, this court would have been a hockey rink which mysteriously floats in the sky. 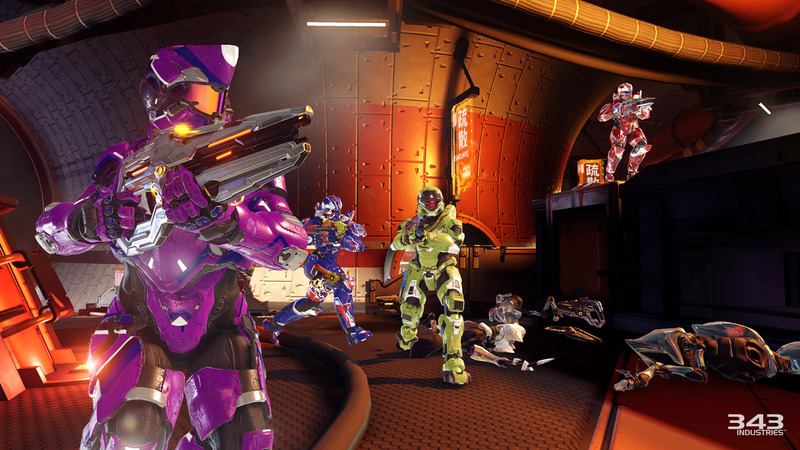 What’s next for Grifball? I know I speak for many casual ballers when I say I can’t wait for more courts. Anything you can tease? The Forge community has really stepped up their game with the new Forge tool. Each time I review a new court I am stunned by the level of creativity, and how builders are using Forge pieces and scripting in unexpected ways. A good number of these courts are headed to the Grifball playlist and I believe players will be blown away by these new play spaces. Here's one small teaser. Thanks for joining me today, and we’re looking forward to more! Cheers! Thanks for having me. Before we go, we must highlight Illadris by Xdemption. This map is absolutely gorgeous and furnished with the highest level of Elvin detail. To grab it, head over to the gamertag “Xdemption” or the “The343Favorites” File Share and pull it down from the map variants.